We are now halfway through Round 6 of the Top 16 in the 2015/16 Euroleague and this means that we are edging towards the halfway mark of this stage. Thursday night saw four games across the two groups and there were plenty of talking points from these games. With three games in Group E on Thursday evening, there was more than enough for basketball fans to enjoy and people that love watching sporting history and major landmarks unfold will have been delighted with what they witnessed in this group this week. This was a thumping win for the away team who have picked up their first road victory of the Top 16 and who now move on to a 3-3 record. The hosts were disappointing throughout the game and they fall to a 2-4 record, which will concern them as we move towards the halfway stage of the Top 16. Miroslav Raduljica was the key player for Panathinaikos with 21 points but Nick Calathes managed to serve up 10 points and 10 assists to give him a double-double for his efforts. James Gist also grabbed 10 points for the winning team, who were 17 points ahead at half time. The lead was actually stretched to 30 points in the third quarter and the hosts never looked like pulling it back. Fran Pilepic offered 16 points in defeat. Every team in the Top 16 now has a win under their belt and Darussafaka can now rest easy knowing that they have a Top 16 victory! The hosts move on to a 1-5 record and the Belgrade side drop to a 3-3 record after the Thursday night action. This was a close game where there was never more than 6 points in it and in the second half, the score was tied on 9 occasions. The only surprise came in the fact that the away team never managed to score in the final 4 minutes and 27 seconds of the game. Semih Erden played a big role in the win, offering up 14 points and Mehmet Yagmur got the hosts off to a flying start, notching 10 points in the opening quarter. Ender Arslan also grabbed 10 points in the win. The losing side had Tarance Kinsey on good form, offering 16 points and there was a double-double for Vladimir Stimac with 11 points and 10 rebounds. Maik Zirbes was slightly subdued and he offered up 8 points and 6 rebounds for the losing side. This was a demolition job in Malaga as the away side raced to a 4-2 record while the hosts dropped to a 2-4 record. This is the third game in a row that Malaga have lost and they will be looking for quick solutions to salvage their Euroleague campaign. The hosts were 30-23 ahead in the second quarter but this was the cue for Malcolm Delaney to step up and the away side were 32-34 ahead at the break. At the end of the third quarter, the gap was 47-60 and there was no looking back from the away side. Delaney picked up 21 points; Anthony Randolph provided 18 points while both Chris Singleton and Dontaye Draper offered 11 points for the winning team. For the losing side, Mindaugas Muzminskas provided 16 points and Edwin Jackson broke into double figures with 11 points. There was just the one game in Group F on Thursday evening but there was a little bit of history in the outcome of the game. 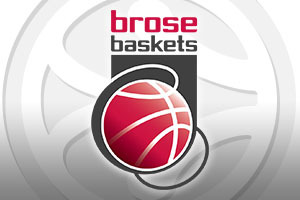 This was the first time that Brose Baskets Bamberg have defeated FC Barcelona and they have plunged the Catalan club into crisis. The hosts now have a 3-2 record in Group F while Barcelona are on a 2-4 record, and this is the first time in over 10 years that the Catalonians have lost four games in the Top 16. The game was very close but a 13-2 run in the fourth quarter made all the difference for the hosts. 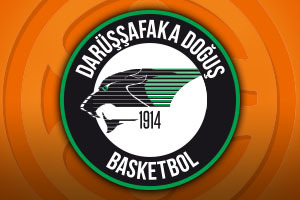 Jan Sterlnieks provided 16 points, Darius Miller offered 15 points, Daniel Theis grabbed 11 points and Nicolo Melli notched 9 points for the winners. Justin Doellman provided 19 points for the losing side and both Alex Abrines and Pau Ribas grabbed 10 points in defeat.